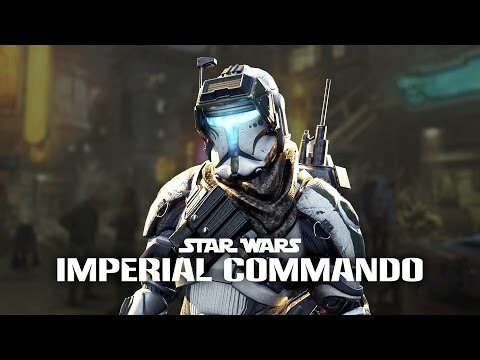 You are the leader of an elite squad of Republic Commandos, your mission is to infiltrate, dominate, and ultimately, annihilate the enemy. Your squad will follow your orders and your lead, working together as a team - instinctively, intelligently, instantly. You are their leader. It keeps crashing ALOT. Luckily, the autosave is pretty damn useful but yeah. I just finished my playthrough of the game and it crashed atleast over 20 times. Press the tilde (~) key while playing the game to bring up the console which is a very powerful tool shipped with Star Wars Republic Commando game. This guide presents list of commands the console accepts. Many of these commands are cheats. The purpose of this guide is solely to draw awareness to the remastered version of this game currently being developed by Blackout Studios. This guide is not to be reproduced in any way, shape, or form. Unauthorized copies of this guide will be confiscated. Those responsible for the confiscation of this guide will be held accountable to Regulation 248-13. Punishable by 16 weeks in the brig. A rather good easter egg. Any old verterns remeber the clans of repcom? I was the 2nd leader of Srt clan. We were known for having one of the more famous modders "mike" in our clan. We released the first public admin patch and also snipers only game modes. What about you guys?? DO NOT BUY THIS GAME. i did now the game will not start up. save your money and buy a game that works. Anyone still play this online? just looking to play some multiplayer on this. Anyone got any ideas how to join a game with some people? CANT START GAME NEED HELP! It keeps saying,"Insufficient system resources exist to complete the requested service. (0x5AA)". Then after that my computer tells that it got rid of a virus. If anyone knows this type of problems, contact me asap. Thanks! Alguien para jugar XD pido mucho no?